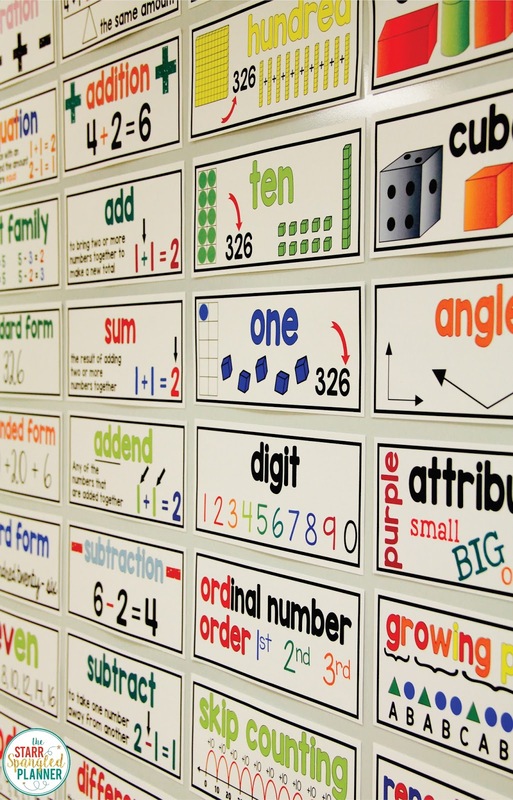 Do you have a Math Word Wall in your classroom? Have you thought about having one, but not sure where to begin? 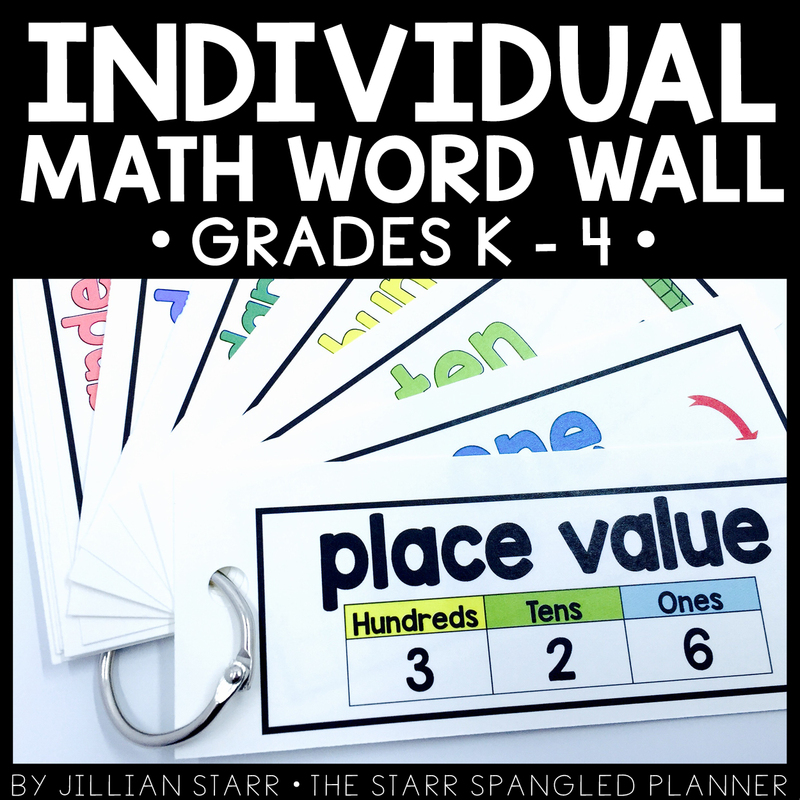 Well, today I’m going to show you how I have used Math Word Walls in my classroom, and some tips for how to make them an effective reference tool in your classroom! 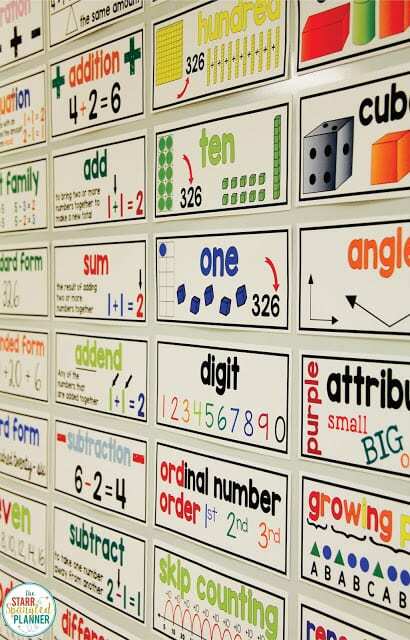 I LOVE my math word wall now, but it hasn’t always been that way. A few years ago I tore down my math wall. Hate is a strong word, so I will say that I thoroughly disliked it! Why? Well, it’s a bit embarrassing. My old math word wall cards were adorable! They used really cute clip art and fun fonts. However, over time I cam to the realization that I only had them up because I liked them (insert gasp and dreaded feeling of being a horrible teacher!) To my students, these cards were probably very distracting and were not helping them learn and remember the vocabulary. I started working on a new math wall with my student’s needs in the front of my mind. I teach in an inclusion setting, with a high population of ELLs, so I really wanted to make the vocabulary as accessible as possible! It has accomplished all of my Math Word Wall goals! I now love my math wall and it has become a great focus wall and point of reference for my students. Mind you, this is how it looked at the end of the year. It looked nothing like this at the beginning! Just like our ELA word wall, we start the year off empty (it doesn’t make sense to put up a bunch of words that mean nothing to them yet!) Even though I would love our classroom to look finished on the first day of school, it’s important to introduce things slowly, and give students ownership over the information that goes up in their classroom. Each time we came across a new term in a lesson, I pulled out a new math card. Since my math word wall is on a magnetic white board, I use magnetic tape (or cut up the magnetic business card stickers from Staples) to hold them up. This also means that I place them on our Meeting Area easel during the introduction, and later move them to their permanent place on the Math Word Wall. I like to keep my words organized, and this year I decided to organize them by Common Core strand. This created a natural “categorization” to help my students easily navigate the wall. I tried labeling them for you in the photo above (the strands aren’t actually present on my math wall). This past year I noticed that many of my students were getting up during math time to go look at the math wall. Some would bring their journals and stand in front of it, checking for understanding, or just looking for proper spelling. Then an idea hit me. Why not make individual cards for students? 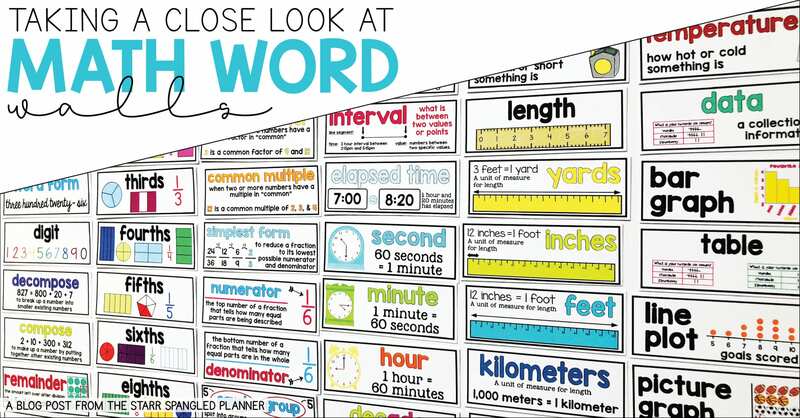 I am now obsessed with BOTH versions of these word walls, and am so excited to finally be sharing them with you! 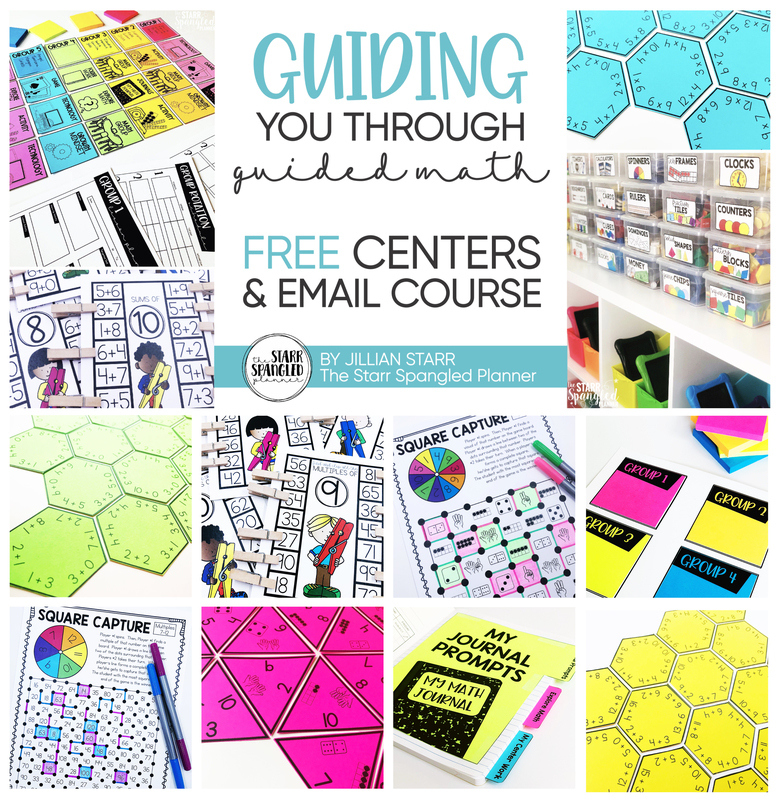 Be sure to come by next time (after July 4th) to take a closer look at teaching Place Value! Thanks for stopping by! I am so excited about both of these products! I'm an ESL teacher and will be providing some support around math to my middle and upper elementary students next year (gotta fit all those service hours into the schedule somehow!). 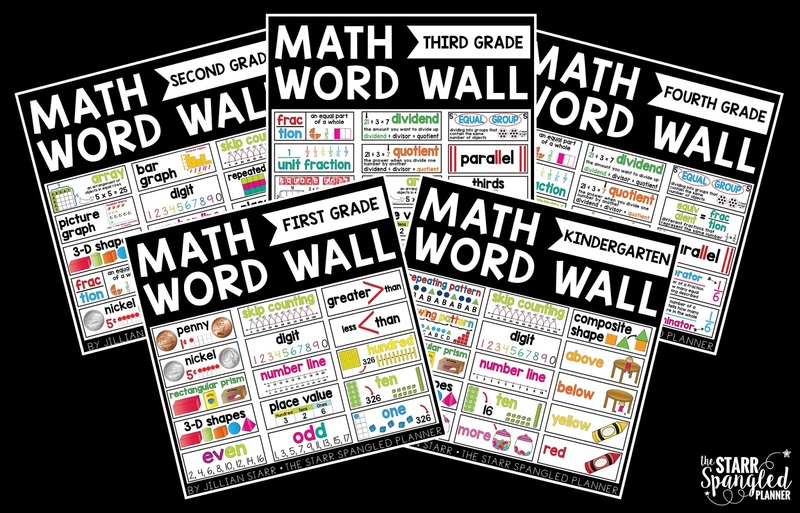 My first thought when I saw my schedule is "Now I can buy those awesome math word wall cards!" I own this product already and it's amazing! Would you be able to make this editable for me to post up in my classroom in Spanish? I teach a dual language classroom and would love to have it in Spanish. Hi! I would love to download these but can't seem to do it…. it gives me the option to download a language activity??? When I click on the links it will not bring up the math word walls. Please help? I teach 3rd, 4th and 5th grade math. I love your illustrated cards. 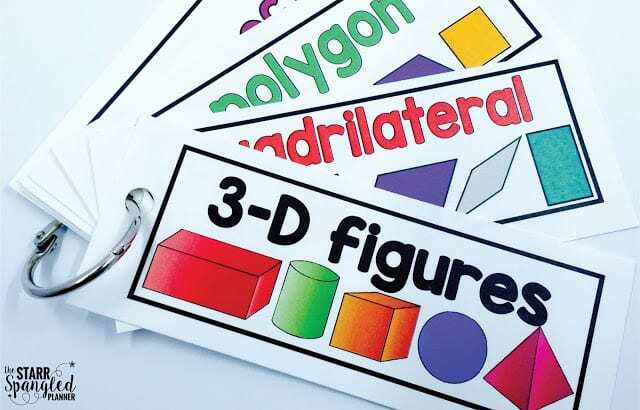 Do you have one list of math flashcards for those 3 grades that has no repeats or do I need to buy each grade separately? 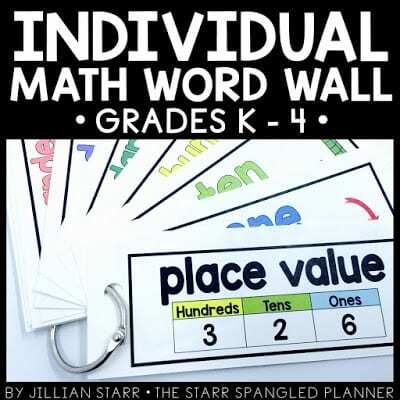 Do you sell a math word wall for grade 5? 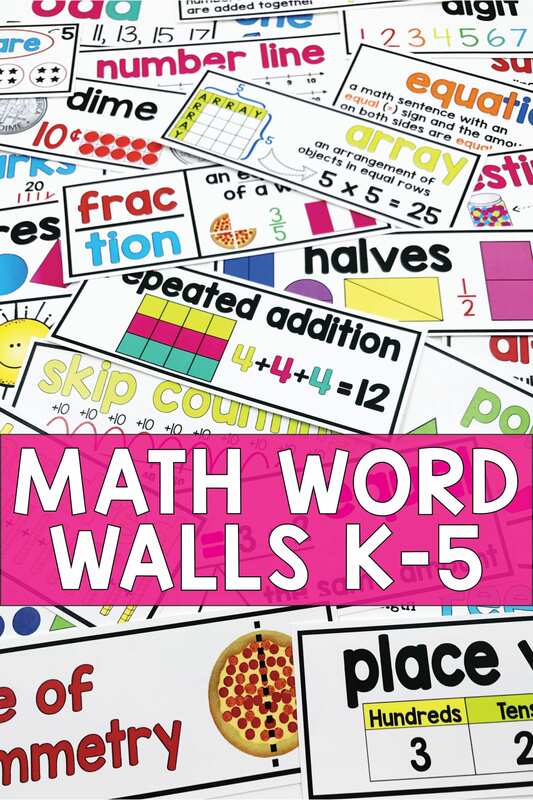 I bought both the third and fourth grade math word walls, but it didn’t come with the heading cards illustrated in the example. 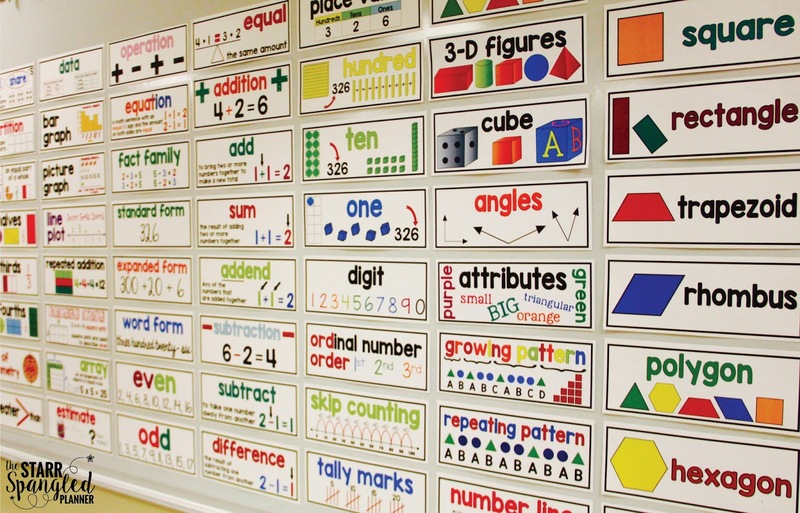 “Math Word Wall” in color. How can I get it? 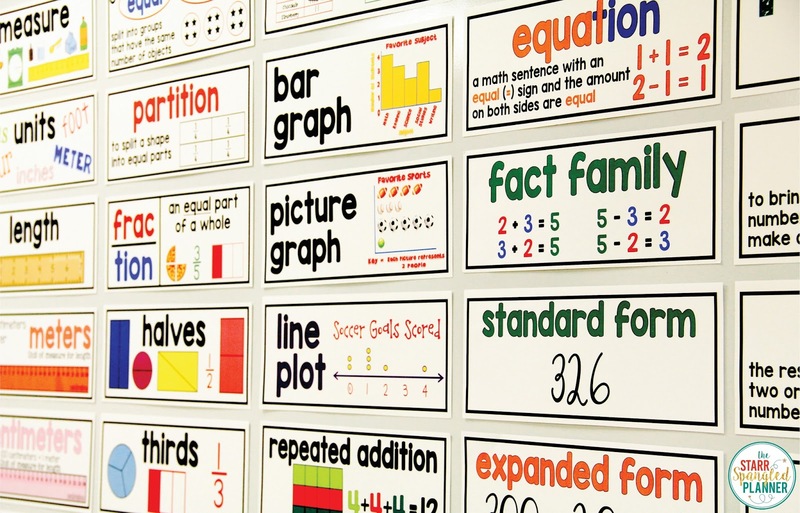 I need the math wall images in High resolution. can you please provide? What size is each card for the word wall. I need to determine the best location for the vocabulary wall. Love these for our students. Their walls are no longer bare!